It’s funny how a piece of equipment can change how you think about a sport. Skiers in the forum are excited about wide waxless backcountry skis for powder in rolling terrain. In theory, I got it. 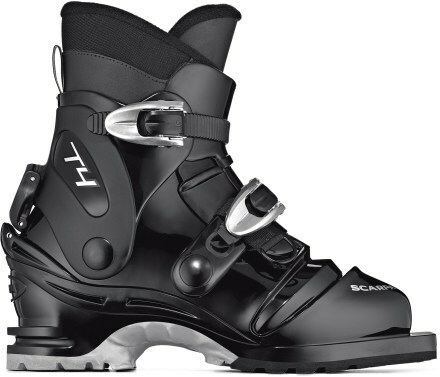 But then I was in the Garnet Hill Ski Shop in North River NY, and actually saw for the first time, in real life, the Scarpa T4s pictured above. I’ve seen that photo many times, but had never seen them for real, in the plastic. Because they don’t have thermo-moldable liners you can try them on and see how they fit. I’m a 27.5 Mondo and the shop had multiple pairs in my size and other average mens sizes. Adam the ski shop guy said “they’re tight as hell getting your foot in but if that is your size they’ll feel great when they are on.” He was right. My foot has always been a good match for a Scarpa boot and the T4s in my size fit perfectly. I bought the boots, and the lodge gave me a pair of Rossi BC waxless skis to demo. It was a perfect time to ski the Raymond Brook Trail. Ten to twelve inches had been recorded at Gore and a few miles away, there was little competition for snow. Amazing what a little climbing will do. Climb we did. Up from Barton’s Road, two hundred feet to the height-of-land between South and Big Pete Gay Mountains. 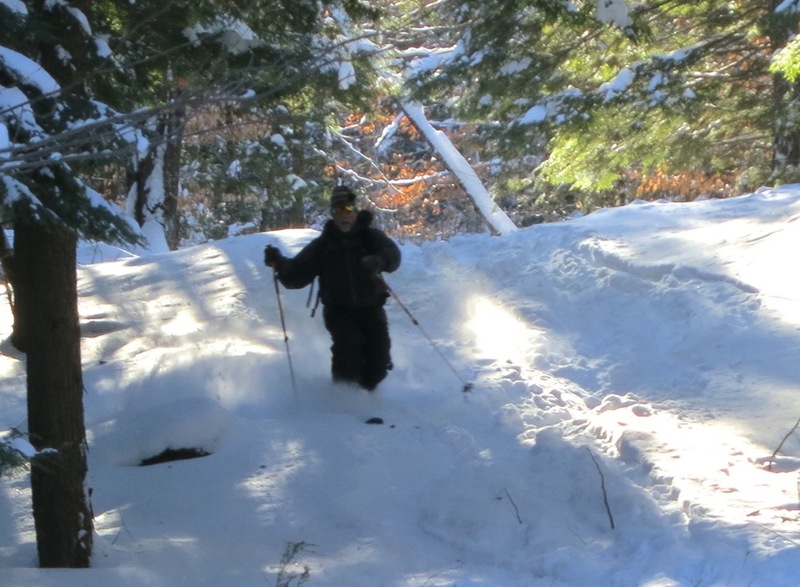 This was my first time skiing the Raymond Brook Trail since it had been remarked by Steve Ovitt and the DEC. I skied it as a bushwack once in the early nineties and that was a life changing adventure. Then two summers ago I returned to the newly marked trail to hike it for first time. On this day it was chilly and clear, and two days after the storm the snow was still fresh. The trail is extremely well protected from the sun. The only tracks from the previous day were those left by partners Cork and Steve. The top of the col isn’t all that remarkable visually, but it marks the beginning of 1300 feet of descent. It’s not something you can ski without stopping, but if you enjoy skiing through the woods you can’t beat it. Both my partners outclimbed me and I don’t think it was about the gear. It’s been a long time since I toured the BC and my technique definitely needs work. That said, my “narrow skis” (78mm) may have given up something on the climb. My ability to glide without double polling on gentle grades was noticeable. Both the Rossi’s and the floatier Voile Chargers were dreamy to steer on significant long slow drops through boot deep snow. There are dozens of places to use this kind of setup on the state land near Garnet Hill and in the northern Siamese Ponds Wilderness. I always liked concentrating my effort in one area so I could develop a portfolio of routes with gentle climbs, good views and fun descents. 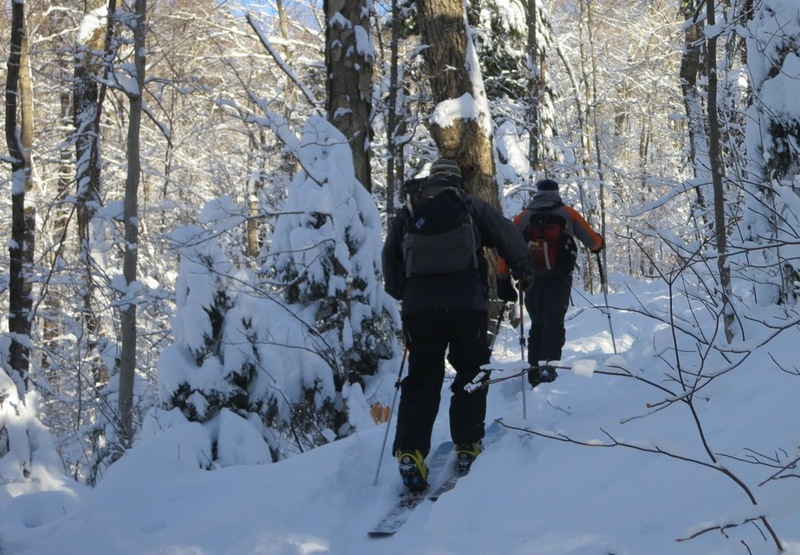 After years away from this version of our sport, I’m hoping I still have enough innate knowledge of the northern Siamese Ponds Wilderness and adjacent lands in the Vanderwacker Wild Forest to explore, learn and find good skiing. 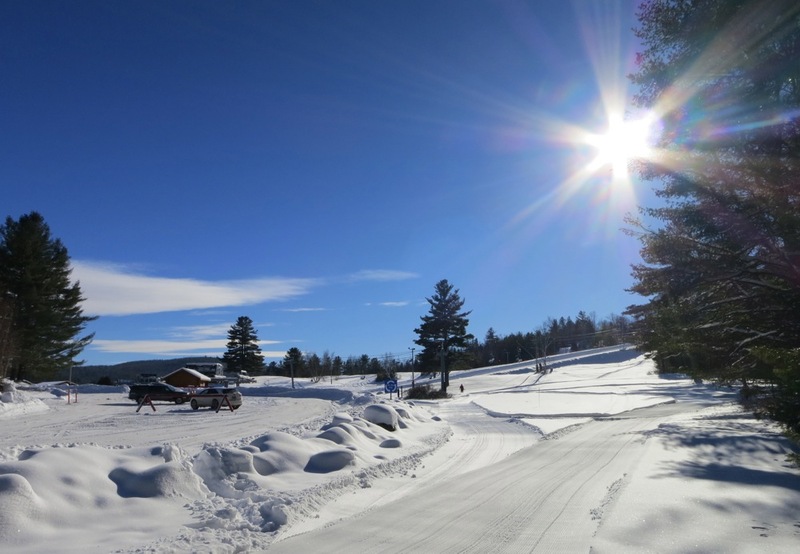 Garnet Hill is a year-round resort with an solid investment in a state of the art groomed nordic ski trail system. I like that they are promoting another aspect of the sport, what I would call a modern version of east coast XCD. If you’d like to demo a similar setup call the Garnet Hill Ski Shop at (518) 251-2150 and ask for Adam. Nice post! I’m really interested in trying this kind of skiing. Looks like a great way to get away from the crowded slopes. Have you tried a less burly boot like something like a Fischer BCX 675? Was leaning in that direction for comfort and greater mobility on the ups and flats. But am also concerned the downhills will be too challenging without more support. I’m in sync with you on this. 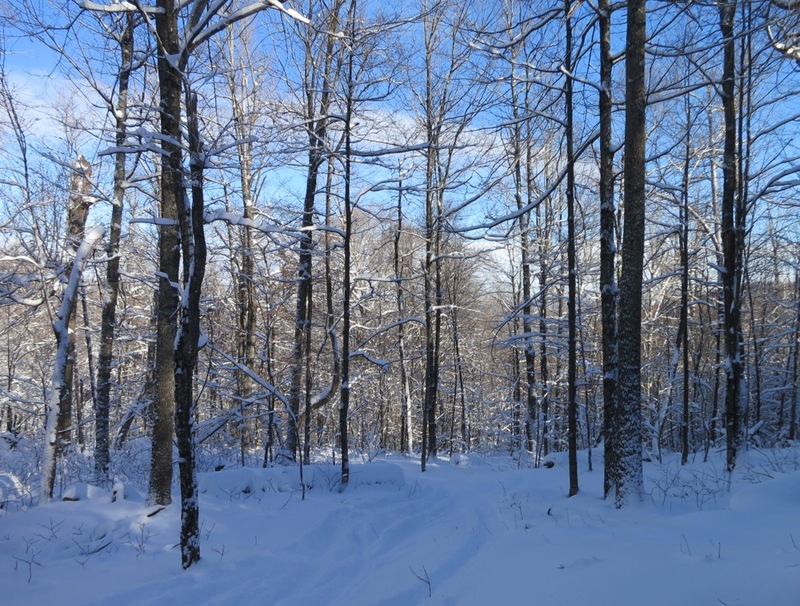 The Raymond Brook ski trail and the surrounding area is fantastic. I use Rossi BC 110’s with Voile Switchback bindings and either the Scarpa T2 boot or the Alpina Alaska depending on whether I’m doing more turns or more touring. Great post Harv…. one of these days I’ll have BC skis in my quiver! Pretty cool how much fun it is, isn’t it? With modern XCD equipment, the whole winter world becomes a ski area. There’s something incredibly satisfying going out and scoring some powder lines without the need for lifts or managed skiing. It leaves a smug grin on your face for the whole day. Welcome to the club Harv. This is the exact same setup I’ve had for years. I gave up on leather boots along time ago. I love the Rossi skis they are so great to break trail in heavy fresh snow. My wife skied in light boots for years, finially switched and couldn’t believe the control she gained over the ski. I miss skiing in the DAKs but don’t miss the weather. Have been using plastic boots and short skis for years. 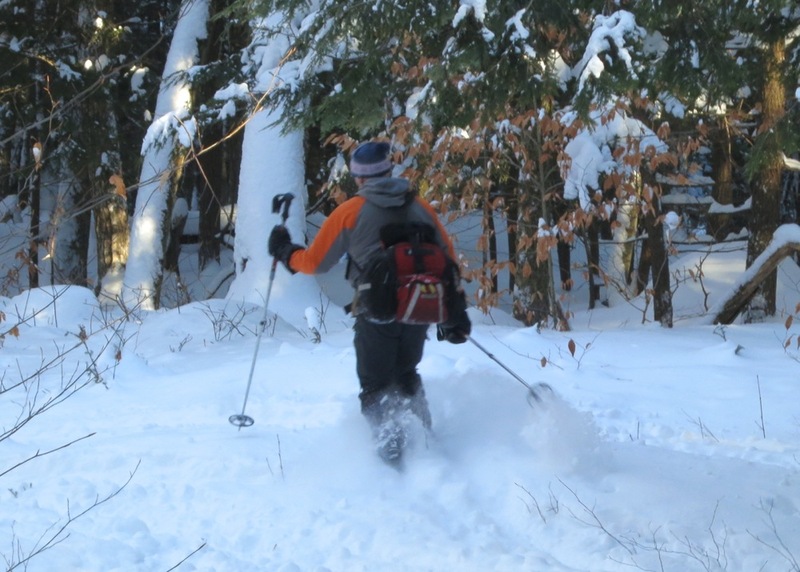 Currently skiing with Marquette backcountry skis and and Voile bindings. The skis climb well and can turn on a dime, really nice for tight tree skiing. I picked up some Epoch’s late last year and put some Voile 3 pin Telemark bindings on them and was pleased to find my old re-soled leather Merrels drive them fine. Really fun for the swacking I like to do around here. The Epochs are light and turny and they go uphill pretty darn well too! I ski toured the Siamese Ponds with some friends this past holiday weekend. It was a little bony at first, but by Monday wasn’t too bad considering. We parked at the Old Farm Clearing lot and headed down the East Branch, up to and across the Siamese Ponds, overland down to Kings Flow, then up to Puffer Pond, and out over three awesome days. This place is awesome. We’ll definately be back. I’m so glad I found your site. Been xcd skiing out of the southern adks for 10 years. Looking forward to shooshing with some of you in the future. 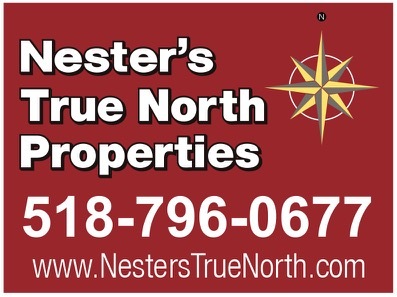 Thanks for the website! Peace!